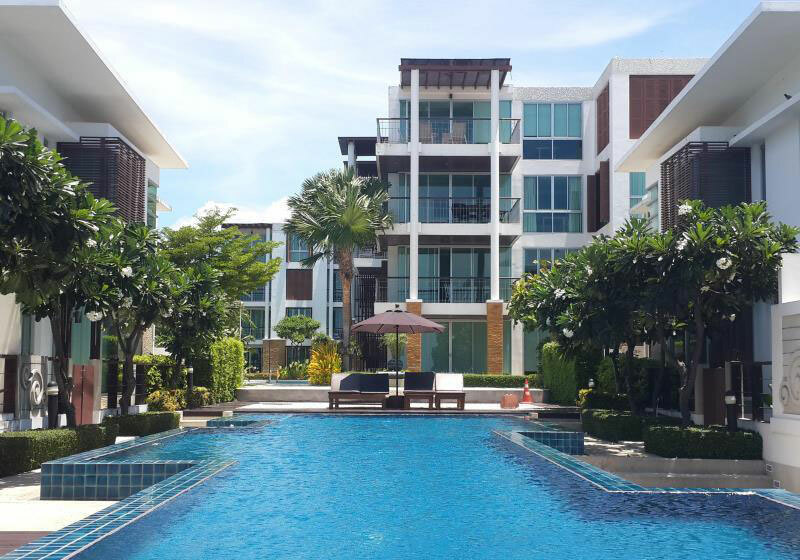 Vimanlay Hua Hin by AX – 2 and 3 bedroom suite at the Cha am beach front serviced apartment and condominium with private and calm area that located between Cha am beach and Hua Hin beach, 2.30 driving from Bangkok, Thailand. The Vimanlay Hua Hin has 2 swimming pools , one at the beach front , another one with our 3 bedroom suite – pool access. The beach could swimming. They have the massage, sailing, horse riding services at the beach. Short Description: Vimanlay Hua Hin by AX – 2 and 3 bedroom suite at the Cha am beach front serviced apartment and condominium with private and calm area that located between Cha am beach and Hua Hin beach, 2.30 driving from Bangkok, Thailand.